In the event of an emergency situation related to your trees, Bartlett’s knowledgeable arborists are available to help you when you need it most. We provide 24-hour emergency services for hazardous and storm-damaged trees that have failed and resulted in damage to your home property. With our substantial resources, we can mobilize crews and equipment from unaffected regions to address the emergency needs of clients as quickly as possible. During an emergency, Bartlett takes the appropriate time to assess the situation and recommend the best course of action. Once emergency services are complete, crews will then begin the process of clean up and repair. 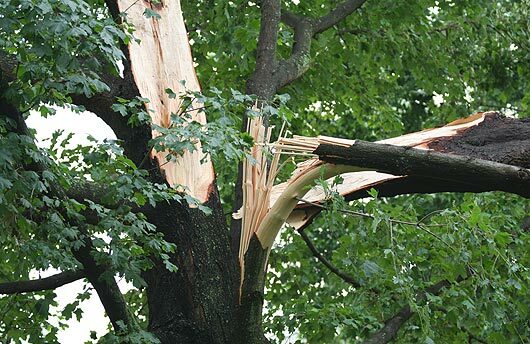 Even if your trees do not exhibit obvious damage after a weather event or no immediate emergency exists, it is important to have your property inspected by a certified Bartlett Arborist Representative who may detect symptoms and conditions that could lead to problems later. Please call us at 0845 600 9000* in the event of a tree emergency.